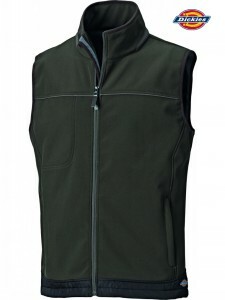 The Adalson Softshell Bodywarmer is manufactured from waterproof fabric, which also benefits from a low level of breathability. Full length zip with a zip guard and features pockets for both hands. 94% polyester, 6% elastane bonded with fleece.